Applications for New Zealand International Doctoral Research Scholarships 2016 are now open for the 2016 Round of the NZIDRS. The New Zealand International Doctoral Research Scholarship (NZIDRS) is a Government funded scholarship, administered by Education New Zealand. The scholarship aims to attract and retain the best international researchers to New Zealand. The scholarship provides full tuition fees and a living stipend for up to 3 years. The NZIDRS is a prestigious, highly competitive scholarship. It is awarded based on academic excellence and the benefit of the candidate’s proposed research to New Zealand. Recipients of this award will have an academic record placing them within the top 5% of PhD candidates worldwide. In order to apply for the NZIDRS you must meet ALL five eligibility criteria. - You must not hold citizenship or PR status in New Zealand or Australia. Applications are welcomed from eligible candidates undertaking relevant research in any discipline. 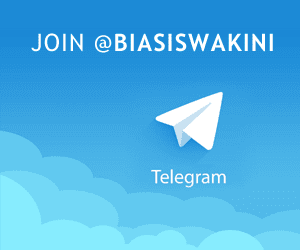 AUT University, Lincoln University, Massey University, University of Auckland, University of Canterbury, University of Otago, University of Waikato, Victoria University of Wellington. Education New Zealand (ENZ) is not a university or an immigration agency. We are a government body centred on the international education sector of New Zealand. ENZ cannot facilitate admission to a New Zealand institution or obtaining an entry visa. All candidates are responsible for their own university admission and visa process. For detailed advice and instruction regarding course selection and enrolment, you need to contact your chosen institution, or institutions, directly. The institution website is usually the best place to start. In order to apply for the NZIDRS, you must have already received a non-conditional offer of place for PhD study at a New Zealand university. The NZIDRS is a prestigious, highly competitive scholarship awarded only to candidates of the highest academic merit conducting research of clear and direct benefit to New Zealand. The requirements and criteria listed here are non-negotiable. Applications that are ineligible, incomplete, or do not meet the selection criteria will not be considered under any circumstances. Answer all questions by completing all fields and submit your form along with ALL required documents to Education New Zealand. Applications must be received by 15 July 2016. 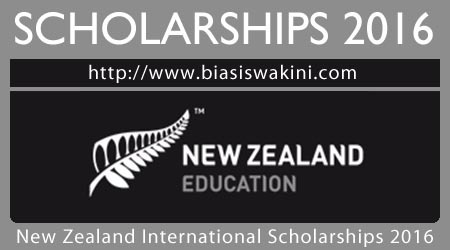 0 Komentar untuk "New Zealand International Doctoral Research Scholarships 2016"